Tinkering, and eventually finding the solution to a problem with your equipment can be an enjoyable or frustrating task, depending on your love of DIY and fixing things. Of course, in our business, it is our passion. However, we’d like to think that with our 60 years’ experience and highly skilled engineers there isn’t too much tinkering involved, we have the knowledge to assist in most situations. If you decide to tackle your own repair then we have plenty of spare parts available to purchase, many of which are held in stock in Ash Vale, Hampshire. And we can be on the end of the phone with valuable support and advice too. We can also help to source any necessary parts from our partnerships with an extensive list of trusted brands and suppliers. If what you’re looking for is not on the above list do give us a call as it’s highly likely we can help. Each of our inspections, repairs, maintenance contract visits and emergency callouts, come with the guarantee that we are experienced and accredited. Not to mention our prompt assistance in all situations. Whether you need a replacement capacitor, motor starter, bearings or cabling, for example, we are likely to hold them in stock. 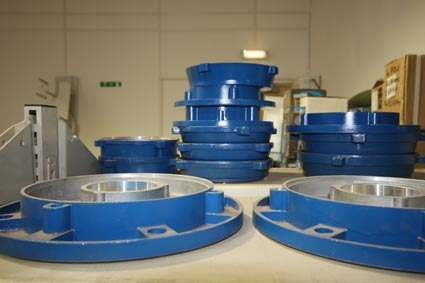 For specialist parts such as specific belts and pulleys, we may need to order these in for you. If so, they can usually be sourced within 24 hours. Or, if you’d like us to get our hands dirty instead, then simply give us a call or an email. We offer tailored maintenance plans, resulting in fewer necessary repairs or replacements. The majority of our repairs take place in our specialist workshop located in Ash Vale, near Farnborough. Do You Need an Inspection or Any Other Repairs? See our Repairs page for more information on the types of equipment we provide inspection, replacement and repair services for.